CRD have just released this easy to use ISO creator/editor for Windows. PowerISO is a software that helps you to convert, encrypt and mount DVD image files. 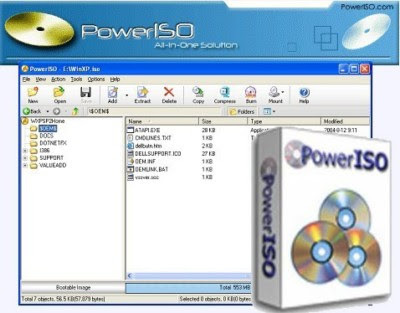 PowerISO is a powerful CD image file processing and file compression tool, which allows you to create, extract, compress, edit and convert ISO/BIN image files, and mount these files with internal virtual drive. And most of all, the compressed files can be used directly without decompressing. PowerISO supports shell integration, such as context menu, Drag and Drop, clipboard.